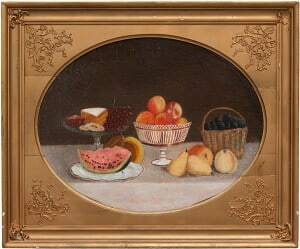 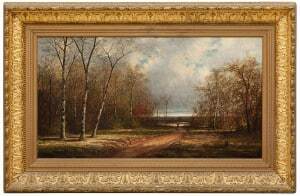 Joseph Rusling Meeker, a New Jersey native, enrolled at the National Academy of Design in 1845 where he studied portraiture with Charles Loring Elliott and was deeply influenced by the work of academy director and renowned luminist landscape artist Asher Brown Durand. 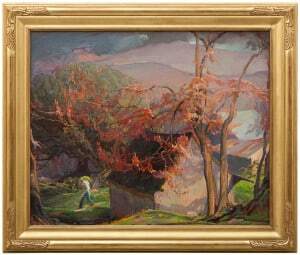 Following his studies, Meeker lived first in Buffalo, New York and then, from 1852 to 1859, was active in Louisville, Kentucky, teaching at a local academy and exhibiting his landscape work. 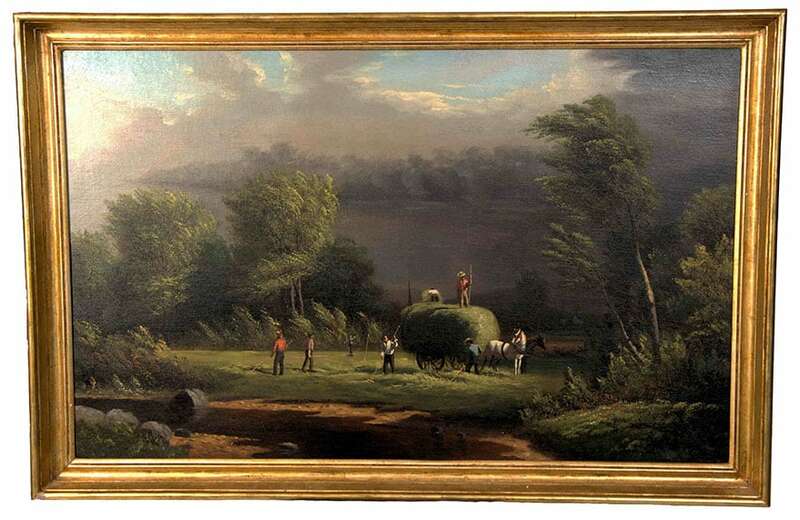 This monumental painting, Kentucky Landscape was painted during this idyllic period before the Civil War when his service as a naval officer led him to focus on the swamps and bayous of Louisiana. 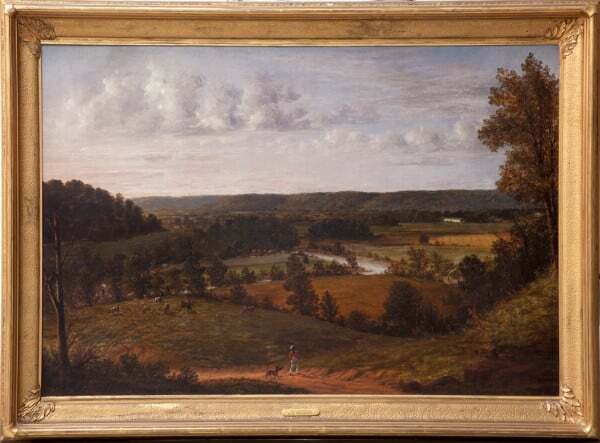 The influence of Durand and Meeker’s growing virtuosity are evident in this depiction of the rolling hills of rural Kentucky.